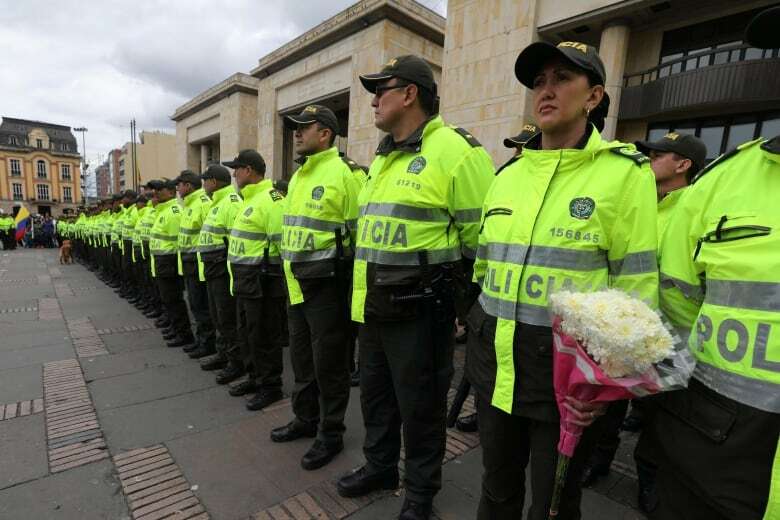 The leadership of the Colombian ELN rebel group, which has been in Havana for peace negotiations since last year, has denied any role in a fatal car bombing in Bogota last week, even though the guerrilla organization took responsibility for the attack. "Our role in Cuba is to advance in the negotiations, we are not aware of the actions taking place in Colombia nor do we have any involvement in them," chief ELN negotiator Pablo Beltran told Cuban state-run agency Prensa Latina on Monday. The ELN had earlier in the day claimed responsibility for last week's car bomb attack against a police academy that killed 21 people as a legitimate act of war and urged Colombian President Ivan Duque to return to the negotiating table. Duque has called for Cuba, which hosted negotiations with the ELN as it had done previously with the Revolutionary Armed Forces of Colombia, to extradite the commanders in Havana, including top ELN leader Nicolas Rodriguez. The ELN commanders in Havana on Monday demanded that Cuba guarantee them safe passage back to Colombia if the talks end. While Cuba condemned the attack, it said it would respect the protocols of the negotiations and was consulting with both parties and the guarantors of the talks. The protocols provide security guarantees for guerrilla commanders to return to Colombia and prevent military attacks for an agreed period. "They should carry out the terms agreed on rather than asking the impossible of Cuba," Beltran said. Bruno Rodriguez, Cuba's foreign affairs minister, said in a tweet over the weekend that the country would never allow its territory to be used for the planning of terrorist acts. Beltran accused Duque's government of delaying the talks for six months to weaken the ELN with a military offensive. "Facing such a reality, there have been responses like that of last Thursday, but … we must continue to attempt together to end the conflict," Beltran said, adding that the negotiators would hand over all the agreements accorded so far as a departure point for future talks.